The literary connection to Harry Potter has made Bloomsbury (WC1), Camden a popular place in London and this area has good degree of fashion sense among its residents. The houses are well furnished but to maintain it requires the experience of Magic’s carpet cleaning services in Bloomsbury WC1. The solutions and cleaning agents are the best in quality and the potion that technicians create is strong enough to beat all the stain marks. The modern vacuum cleaning is efficient in removing the dirt from the inner corners of the carpets and rugs. The high turbo system of drying makes the carpet ready to be used in just a day whereas other methods of cleaning carpets will make them unsuitable for use for many days. 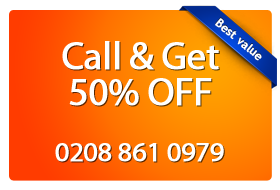 The prices are within the budget of most families and the cost of maintenance of a furnished house will come down drastically in Bloomsbury (WC1) where Magic Carpet Cleaning will weave their magic on the carpets.